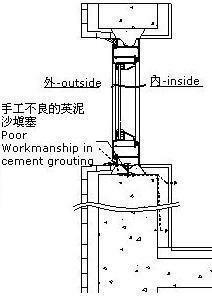 Poor Workmanship in Cement/Sand grouting and aged/poor sealant to joint between window frame and construction opening or aged/poor sealant works. 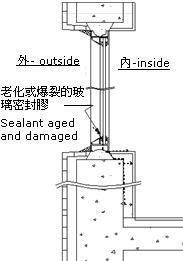 Due to workmanship in sealing or quality of glazing sealant. 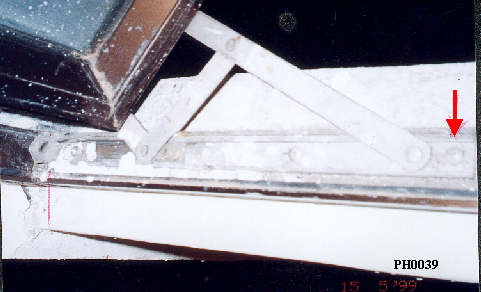 While Aluminum window is an assemble of variety components, joints between each connecting parts is a source of water seepage. Saw cut edge and hack off existing mosaic tiles and C/S plaster to concrete surface at a approx. 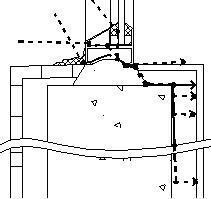 200mm wide margin surrounding the window perimeter. Repair any exposed cracks and / or honeycombing with “Labond Coral Mastic R600”cementitious sealant and allow cure. 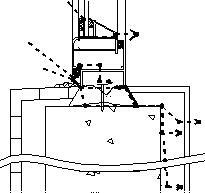 Apply two coats “Labond Coral W888” cementitious waterproofing coating onto whole expose br d concrete wall surface andidge the joint between wall and window. Allow cure for at least 24 hours. Lay C/S plaster added with steel wire mesh for where required for over thickness of c/s plaster and “Labond Coralatex C106” waterproofing additive. Reinstate # mosaic tiles / paint work affected. 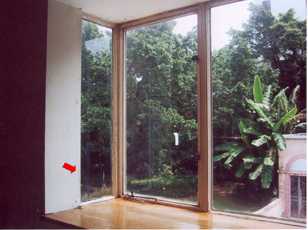 Apply“Master Proofer S111e” natural cure silicone sealant to joint between windows frame and wall. Remove existing sealant from joints between alum. / alum, and alum. / glass and gap could allow path for water seepage at outer side of window and re-seal with “Master Proofer S111e” neutral silicone sealant.